The EU doesn’t want nations to exist any more but have all EU countries as one in a Federal Union. We have already lost control of trade and industry in this country and only by leaving the EU can we trade freely world wide without EU regulations crippling us. We use to be a great trading nation once and can be again. Steady on. I usually support your cause but there is a glaring oversight/error (intentional or otherwise) in this article. Osborne, hopeless though he may be, has not been running the show since 2000. But the consistent factor is that we have been controlled throughout by the EU with 60% of our laws coming from Brussels/Strasbourg. As only 4% of MEPs are batting for the UK it’s hardly surprising that we are in decline. And to suggest we have any chance of “government action to stop the dumping of steel and other metals” is straight out of Grimm’s Fairytales. Our government is powerless – shackled by the EU. 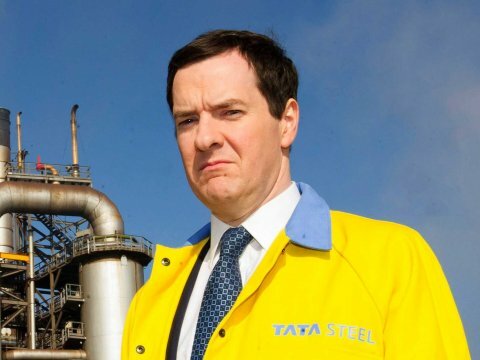 How can one man single handedly ruin British Manufacturing? or did he ? Does High Tec Japan, South Korea still have Steel plants, Aluminium Extrusion plants, small goods manufacturing or do they use growing countries cheap labour and subsidised steel such as China, Vietnam, Cambodia etc? just a thought….Are we in the UK High Tec? I agree Chip – Osborne is not fit for purpose but those pulling his strings need to grow a pair and lead us out of Europe for the right reasons – the common market was enough but we just took it too far. As an Island we have prospered for hundreds of years with great relationships through the world and the commonwealth (nice name – Common Wealth). time to get our house in order before Mr Trump gets into the White House and does it for us! Hello, I’ve just been watching a film on YouTube called BREXIT. Have you seen it? Here is the link https://www.youtube.com/watch?v=UTMxfAkxfQ0 — I’m not qualified to comment on it, just wanted to tell you about it. A major reason why manufacturing has dropped is because we can’t even make for ourselves. We have to offer any major contract to the EU through the European Journal and have to substantiate our decision if we choose British over French, Spanish etc. Even Cameron’s despicable £9 million propaganda leaflet was printed in Germany! You know what to do on June 23. Our last chance!